What do you call a woman who is the first African woman to win the New York Marathon only five years after getting her first pair of sneakers? You call her Chametia (one who never gets annyoyed) or Tegla Loroupe. Here is her medal-worthy story. Tegla Loroupe is a real life role model. From her exploits on the road to her incredible humanitarian work off it, the Kenyan is a true ambassador to her country, her sport and mankind as a whole. Born in Kapsait village, the Lelan division of West Pokot District, Kenya, Loroupe grew up with 24 siblings. She spent her childhood working fields, tending cattle and looking after younger brothers and sisters. It was at the age of seven, when Loroupe began attending school, that her running prowess became immediately apparent. Attending school meant a 10 kilometres run for the young Kenyan, both there and back – a run she would complete barefoot. Talking to me in Qatar, a world away from these early beginnings, Loroupe admitted that she made the “school run”, in the rawest form of the phrase, without the knowledge that she was “doing the sport”. Without the facilities seen in the western world, a youngster in Kenya could run or play football, although the latter was traditionally for the boys. It wasn’t until the intra-school competitions that Loroupe became aware of her true potential. Held over the 800 metres and 1500m distance, and taking place on a Friday, students from each school class would compete against one another. Loroupe’s class was good. Loroupe was one of the best. Even when competing against older students, a young Loroupe proved a true talent. Unfortunately for her, she received little support from her community. As a woman, and a relatively small, frail woman at that, she was not deemed suitable to be a runner. Always a struggler, Loropue struggled on, however; determined to pursue a career in athletics. Despite the hardship in her past, Loroupe is not one to point fingers. She tells me that she is not ashamed of the community she grew up in, that sometimes the media can portray it in a way that does not come across well in society. Some may comment about her younger years, place blame where they feel it necessary; but not Loroupe. She never pointed a finger at anybody. It didn’t take long for Loroupe to show Kenya and the rest of the world that she was a talent to be watched. After winning a prestigious local race in 1988, barefoot at that, she fell under the spotlight of the Kenyan athletics federation, Athletics Kenya. She earned her first pair of running shoes the following year as her international career gained a head of speed. Her first major competition also came in 1989 where she was nominated to race in the International Association of Athletics Federations (IAAF) World Cross Country Championships. She came 29th, earning global recognition. In 1990 she competed again at the IAAF World Cross Country Championships, finishing 16th in the junior race. From here, Loroupe’s international career took flight. In 1994 she won the Goodwill Games over 10,000 metres, barefoot. She also took part in her first major marathon – the New York City Marathon. Running against the world’s strongest competition, Loroupe won, becoming the first woman from Africa to win in New York City. 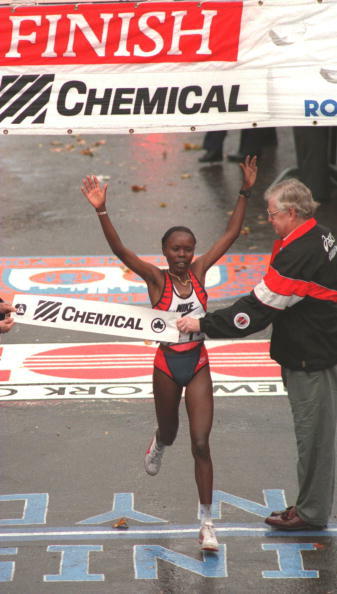 Kenya’s Tegla Loroupe won the New York City Marathon in 1994 – the first African women to win the event, launching her on the world stage. “I think it gave women all over the world pride,” Loroupe explained of the victory in New York. “When I won there so many women that say, ‘Tegla we know you are struggle, we translate in real life in our women’. 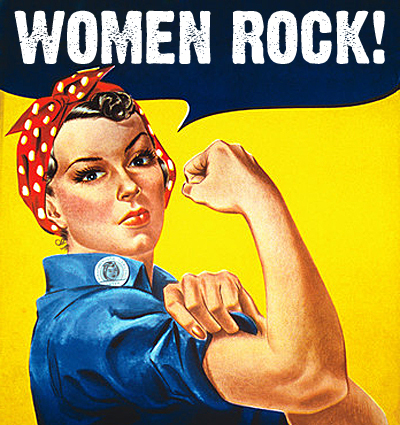 “So it opened the thinking of women all over the world. Women also, we have hard life. So we can struggle in any area we are facing to make a difference in our lives. She won the New York City Marathon again in 1995 and finished third in 1998. Loroupe’s accomplishments in the mid to late 1990s and early 2000s are extensive. As well as winning bronze medals at the IAAF World Championships in 1995 and 1999 over 10,000m, Loroupe also secured world gold three times in a row over the half-marathon distance, between 1997 and 1999. She also took the top prize at the Rotterdam Marathon in the same years, the Berlin Marathon in 1999 and finished second in 2001; and finished second at the 1999 Osaka Marathon. During the 2000 Summer Olympics in Sydney, Loroupe was favourite to win gold in the marathon and 10,000m, but suffered from food poisioning the night before the opening race. Nevertheless, the Kenyan took to the starting line in each races, finishing 13th in the marathon and fifth in the 10,000m the following day. She was barefoot on each occasion. Her success continued into 2000 with victory at the London Marathon and Rome City Marathon. She also won the Lausanne Marathon in 2002, Cologne Marathon in 2003 and Leipzig Marathon in 2004. Loroupe competed at the 2005 World Championships marathon race in Helsinki, Finland, but finished only 40th. She saw major improvement at the Hong Kong Hal-Marathon in February 2006 where she took gold. The same year she finished fifth in the Rotterdam Marathon and second in the Venice Marathon. In 2007 she participated again the New York City Marathon, finishing eighth. Her legacy still remains in much of the the athletics world where she holds the world records over 20, 25 and 30 kilometres as well as the marathon distance. Her marathon time of 2 hours 20min 43sec, set at the Berlin Marathon in 1999, was broken two years later, almost to the day, when Japan’s Naoko Takahashi ran the Berlin Marathon in 2:19:46. She also used to hold the one hour running world record of 18,340m set in Borgholzhausen, Germany, but the record was broken by Dire Tune of Ethiopia ten years later, in 2008. Aside from her running career, Loroupe has given a lot back to her community through a series of humanitarian efforts. As the most successful female athlete to arise from a conflict-struck area in Kenya, Loroupe was often called upon in times of crisis. “I realised that when I was in Europe, most of the time they were looking when there is a crisis they used to look for names and every time my name would always appear,” she explained. “These organisations, they also keep my card and I never ask anything. If I had a number I could have given [it to them], but I can raise more money with my name running with it. In this vein, she established the Tegla Loroupe Peace Foundation in 2003. The Foundation’s mission is “to improve peace building, livelihoods and resilience of poor people affected by and vulnerable to conflicts and civil strife in the world”. It was created in an effort to bring together warring tribes and religions within Kenyan and Ugandan communities and make a difference to the lives of those people that are suffering, just as Loroupe once did. “Well I started in 2003 using the religious groups who had been hurt by the people fighting,” she said. “Because they don’t want to see police, they don’t want to see politician. But with this they really know that Tegla was behind it, so they say ‘okay, there is need for them to support the initiative’. “So they came to run, and why? Because they say, ‘Tegla could have stayed in Europe with any other person.’ I had everything that could have taken me away from home, but I came back to see them. “They need Government or anybody to listen to their issues. “Because people don’t just fight because they don’t like each other, it’s just a stereotype where people say ‘oh they are raiding because they want to marry or whatever’ – it’s a lack of resources. The Tegla Loroupe Peace Foundation brought instant tangible results to the communities it targeted. At a 2003 event the President of Uganda Yoweri Museveni sent one of his Minister of States to participate. This, according to Loroupe, had never happened before. She then visited the Ugandan Parliament to talk with the policy makers there, hoping to open the boarders between the two nations and create harmony where it had previously not existed. This was a key theme to Loroupe’s work through her Foundation; to bring peace and harmony to communities and cross-border territories. With the creation of the Foundation, came the creation of an annual series of Peace Marathons, named “Peace Through Sports”. These races saw Prime Ministers, Presidents, Government officials and ambassadors run with warriors from battling tribes in an effort to bring these communities together, open conversation and put an end to conflict. Loroupe’s humanitarian work was recognised globally in February 2007 when she was named the Oxfam Ambassador of Sport and Peace to Darfur. This came just months after she travelled with George Clooney, Joey Cheek, and Don Cheadle to Beijing, Cairo, and New York City on a diplomatic mission to bring an end to violence in Darfur. She won the “Community Hero” category at the 2007 Kenyan Sports Personality of the Year awards. On Olympic day in 2011, Loroupe was presented with the International Olympic Committee’s (IOC) Women and Sport Awards in recognition of her hugely successful career humanitarian work across Africa. One huge benefit of Loroupe’s work is the fact that she has been there. She has faced the issues that those she is helping are going through. She can relate to and advice these people, with knowledge that many other foundations do not possess. “When I get on the ground, I’m not afraid to go to the people. I’m not ashamed. I’m able to tell them that I was like you, that can you can never give up. I can talk to the small kids, I can talk to the leaders. Loroupe admitted that she would like to see more sporting idols, born and raised in Africa, return to the continent to lend their support to the communities they drew up in. As Africa has progressed as a sporting region, as athletes from the continent continue to make a name for themselves, she would like to see them empower the people and remember their roots. “But yesterday you were poor, and today you are rich. What makes you forget where you come from? Empowering the people does not just consist of food, water, or funding. Of course these are essential, but education is also a major resource that is lacking in many communities. Not only is this education essential to their upbringing, but also to any ambitions of becoming athletes. An estimated 36 Kenyan athletes have failed doping tests over the past two years. The latest case involving two-time Boston Marathon winner Rita Jeptoo, sent a wave of panic through Kenyan sports. But with so many athletes testing positive for banned substances; who is to blame? The answer, according to Loroupe, is foreign coaches. Coaches or managers from the Western world who see young, often naïve, Kenyan athletes as a source of income. They see a nation full of natural runners and want to make a quick buck. “It’s a shame for the country,” Loroupe explained. “And also for our athlete who are naïve. They don’t know much about the issue of drugs. You people from the Western world you know, and the small kids know what’s going on. Some of us don’t know anything about it. Our kids have been subjected to it, and why? One thing that would certainly help these athletes who are being used and taking is education. Teaching them what is right and what is not when it comes to taking certain substances. Teaching them to query what is being put into their bodies, and ensuring they are safe and secure in both training and competition. This is not just a job for Africa, however. This is not just a job for organisations such as the Tegla Loroupe Foundation. This is a mission for everybody. Athletes, coaches and role models from all regions of sport need to come together to put an end to the criminal behaviour and ensure a free upbringing to athletes from all areas of the world. As a member of the “Champions for Peace” club, a group of 54 famous elite athletes committed to serving peace in the world through sport, created by Peace and Sport, a Monaco-based international organisation, the Kenyan wants to bring peace to her community, her continent and her planet. The above information is from an article that was written by Paul Osbourne who is a reporter for insidethegames. Truly Inspirational! I loved it! Isn’t it wonderful what one person can achieve ? I love how she empowered so many others through her gift. A wonderful, inspirational role model. Thank you for sharing Bernadette.